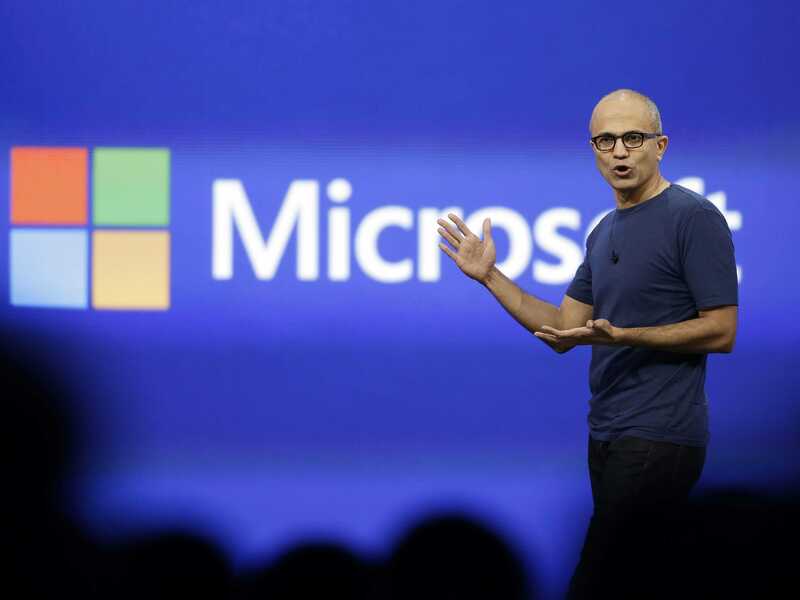 Investor watchdog organisation Institutional Shareholder Services (ISS) caused a stir last week by telling Microsoft investors that Satya Nadella’s pay package was too high. It advocated that they vote no on the “say on pay” advisory vote during Microsoft’s shareholder meeting December 3. As part of his promotion, Nadella was granted a starter kit of stock valued at about $US65 million which won’t begin to vest until 2019. Plus, he got another one-time stock grant worth $US13.5 million in August 2013 to keep him around during the CEO search process. It vests over seven years. In 2014, his base salary is $US918,917 for a role he assumed in February. (ISS calculates his full year base at $US1.2 million) and a cash bonus of $US3.6 million. But Nadella isn’t like the two previous CEOs. Both Bill Gates, the founder, and Steve Ballmer, one of Microsoft’s earliest employees, owned massive stakes from the get-go. With Nadella, Microsoft has crafted a brand new pay-for-performance model. So Nadella will be eligible for an annual $US13.2 million stock award, with a complicated vesting schedule, that he’ll unlock if he hits certain performance targets. “Over 80% of the reward opportunity is performance-based measured by our total shareholder return (“TSR”) relative to the S&P 500. To earn the target value of this award, Microsoft’s TSR must exceed the 60th percentile of the S&P 500 over each of three overlapping five-year performance periods that extend to 2021,” chairman John Thompson wrote in a letter to shareholders about the pay plan. ISS calculates the whole starter package to be worth $US90 million and complains that the performance targets he’s supposed to hit are too vague (“lacks a strong connection to objectively measured company performance”). That’s why they think his pay is too high, according a report shared with Business Insider. A Microsoft spokesperson tells us this is misleading because a good chunk of that stock won’t begin to available to him for five years. Plus, the value of another chunk is based on performance targets and isn’t known yet. It depends on how well the company is doing. By Microsoft’s calculation, Nadella is being paid $US25.1 million for 2014 (without his one-time $US65 million stock grant that he can’t touch until 2019.) Microsoft tells investors they are aiming for his annual pay to be $US18 million, $US13 million of it as stock awarded based on performance. (This excludes that $US65 million as it vests and the $US13 million chunk issued in 2014 as it vests). By the way, Microsoft also agreed to a $US17.4 million golden parachute. How does that compare to others? Oracle is paying its new co-CEOs Safra Catz and Mark Hurd $US37.7 million apiece for their first year. That was a pay cut from $US44 million the year before. (Larry Ellison is making $US67 million in 2014). Tim Cook was granted a staggering $US378 million one-time stock grant when he took over as CEO, which has vastly grown in value. Between a $US4 million salary and about $US70 million of his stock options that vested, he made $US74 million in 2013. Marissa Mayer was paid $US36.6 million her first year as the CEO of Yahoo. A Microsoft spokesperson tells us that when adding in their one-time stock chunks, Tim Cook’s annualized pay is $US40.4 million, Eric Schmidt’s annualized pay is $US32.9 million, and Marissa Mayer’s annualized pay is $US24.3 million. When looking at it that way, Microsoft feels that Nadella isn’t overpaid at all. Of course, if all of this goes as planned, and Microsoft’s stock continues to rise, his pay will be much higher in the next seven years. On the other hand, we doubt that any investor advocacy group will complain about that.